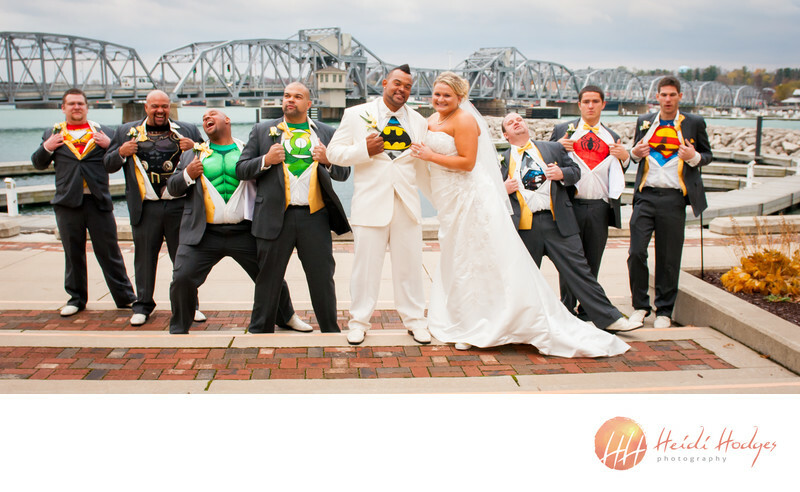 Stone Harbor bridal party's alter egos come out in time for the reception. Location: Stone Harbor, Sturgeon Bay, Wisconsin. Keywords: bridal party (9), Door County (42), Stone Harbor (9), Sturgeon Bay (21), wedding (54). 1/90; f/4.5; ISO 400; 24.0 mm.